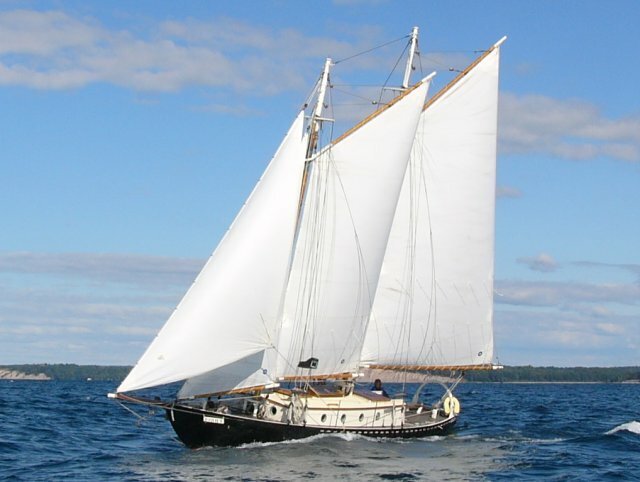 Sara B, a 47' Tancook Schooner, started sailing Little Sodus Bay, Lake Ontario in the Summer of 2005. She's now owned by the Sara B Co-op formed to support, maintain, promote, and sail her. She was built in Nova Scotia in the early 1950s and is 38 foot on deck. She has a website with photos, information on her acquisition via eBay, her 'voyage' from Long Island to Lake Ontario, and our current effort to form a co-op to keep her going. We've done some repair work, including partial refastening, re-bolting floors, some plank and rib repairs-replacements.